Geoffrey Wexler is an archivist and artist friend who made a strong impression on me early in my career. Geoff created a meticulous foundation for the ongoing development of the Robert Wilson Archives, and, I am sure, unknowingly inspired me to be detail-driven in an artful way. I have always admired his aesthetic sensibility and how he managed to incorporate an artist’s eye into the structure of Robert Wilson’s collection. Geoffrey Wexler is Library Director at the Oregon Historical Society. Oregon Historical Society promotes the study and understanding of Oregon within the context of U.S. History. Janine St.Germain: Geoff, can you share the name of a collection that has made a strong impression on you in your years as an archivist? The James Anctil Papers. Anctil was a gay man, an artist and writer, who lived in New York City in the 1970s and came to the Portland area in the 1980s. He committed suicide in Portland in 1997. I worked on it, originally, while it was still very much in a raw state. JSTG: How did the material make it to the Oregon Historical Society? 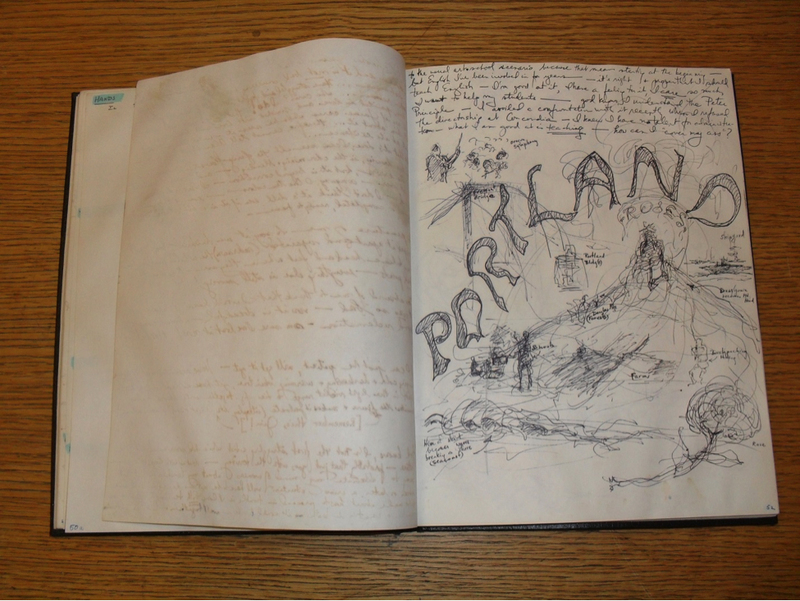 When James died, his friends, some of whom were members of the Gay and Lesbian Archives of the Pacific Northwest (GLAPN), donated his papers and his art work to OHS. JSTG: How did it feel to work with this material? I found working with the papers to be very intense. The material is enigmatic. You could see he recognized his life was coming to an end, and that there was no going back. Dealing with homophobia most certainly played a role in his life. He clearly was frustrated, and put off by people. JSTG: Why has this collection lingered in your mind? 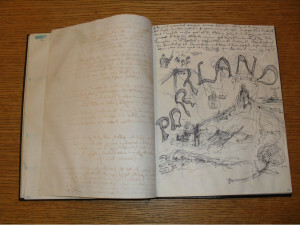 James was an intense and introspective person who kept extensive diaries. 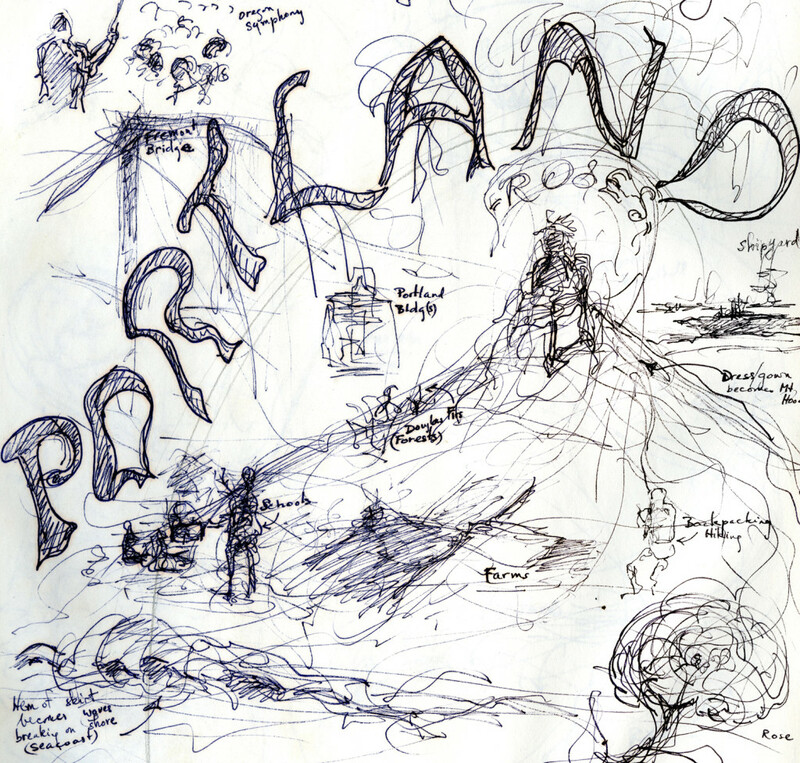 They chronicle his life in New York and Oregon, his loves and losses, his efforts to make headway in his career as an artist, and his frustrations and depression over the homophobia he encountered in his work and elsewhere. Finding this collection reminded me of Werner Herzog’s film, Grizzly Man. This film brought the unedited raw footage of an obscure filmmaker onto the world stage. The film’s subject created a personal and rather self-involved portrait of himself – not necessarily for public consumption, but clearly with some sense that people would see this footage some day. Diarists like James Anctil have done the same thing. Whether these people consider themselves artists or writers is completely beside the point. Like sending a message in a bottle, they’ve created something they believe will reach someone somehow, no matter how far-fetched this belief may be. This is a tremendous act of faith. When we read or see these creations we are affirming that belief. And archivists play an essential role in this process. JSTG: Has this collection, in some way, connected unexpectedly to any other collections on which you have worked? I can relate to so much of James’s concerns and his desire to create a record of his life. 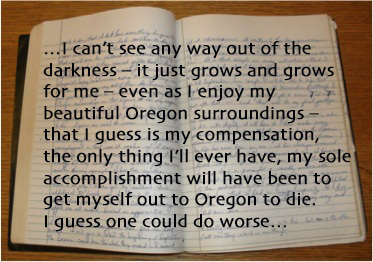 James’s diaries are as thoughtful and well written as those from famous people. But because of his relative obscurity, it is unlikely they will be widely known until someone makes an effort to publish them or put them on the web in some form –which I would like to do some day. JSTG: Might there be a particular researcher/artist/writer, etc. you would love to see use this material? If so, why? An imaginative writer who is particularly interested in LGBTQ themes might compile these diaries into an effective narrative. JSTG: Where is it housed, and is it available to public? The collection is kept at the Oregon Historical Society research library, and it is open to the public.